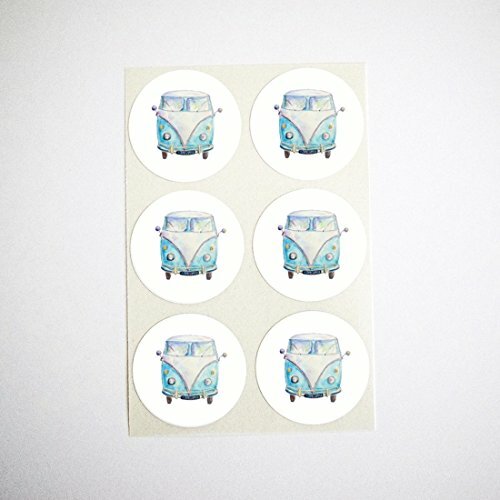 These retro blue camper round stickers are perfect for sealing envelopes, party favors, wrapping gifts and decorating your journals & planners. Available in set of 30 or 60 stickers. Each sticker measures 1.5" in diameter.